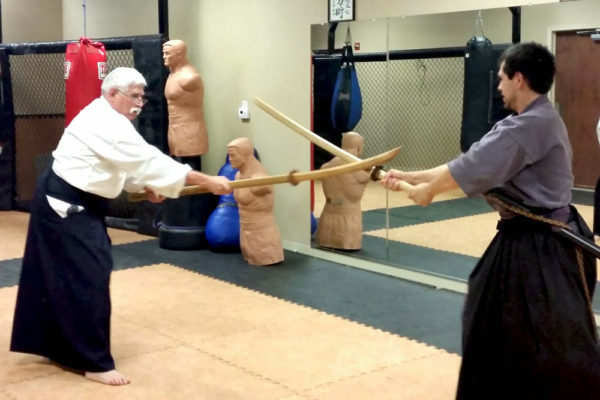 Gone are the days of Feudal Japan with their noble warrior class and their code of “bushido”. The legends and the ideals of the Samurai, however, still intrigue people of our modern cultural. 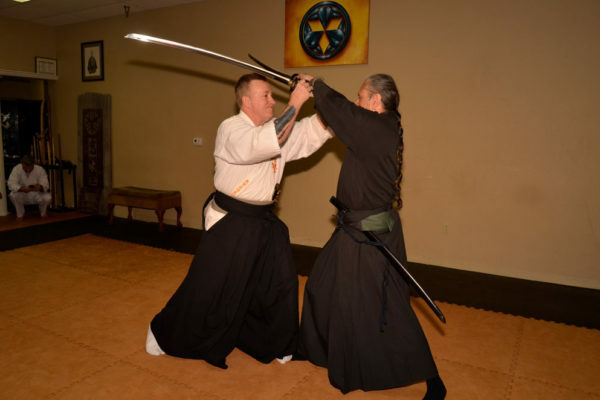 ArtFit can take you on a trip back in time to the era of the Samurai with authentic Samurai swordsmanship taught today just as it was in 1590. This class encompasses not only techniques, but immerses the student in formal etiquette, language, and history. Challenge yourself to learn a skill that has endured 425 years and is still as effective today as it was then. 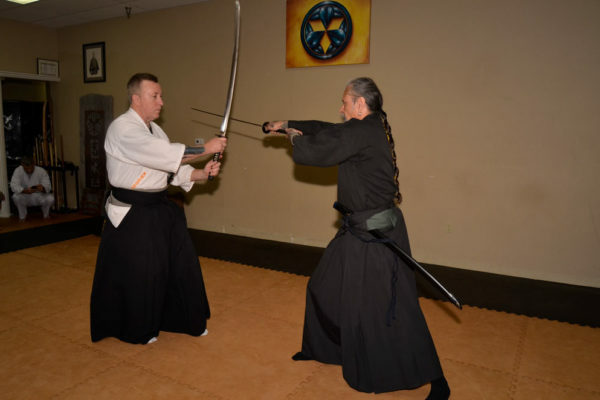 Today, the most widely practiced style of iaido in central Japan is “Muso Jikiden Eishin-Ryu,” meaning “Peerless True-Faith, Direct Transmission Style.” Eishin-Ryu claims an unbroken history of about 425 years, making it the second oldest extant martial art form in Japan.The founder of Eishin-Ryu was Hayashizaki Jinsuke Minamoto Shigenobu, who lived between 1546 and 1621 in present day Kanagawa prefecture, Japan. Sekiguchi Komei Soke is the 21st Grandmaster of Muso Jikiden Eishin-Ryu. He currently presides over hundreds of dojo’s in 60 countries that teach Yamauchi Ha Muso Jikiden Eishin-Ryu. 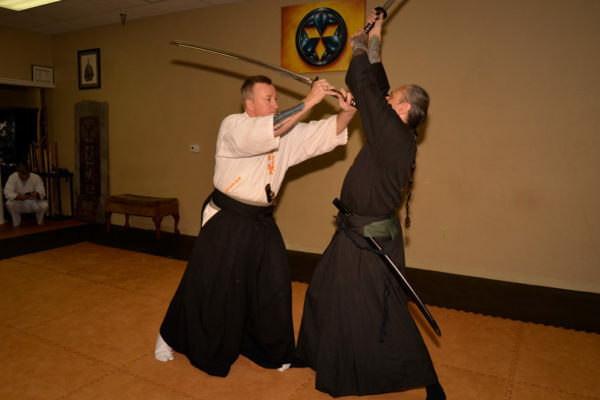 To learn more about our Japanese Swordsmanship Classes or to sign up please contact us. Swordsmanship is practiced for it’s historical value and high degree of skill. On the surface it may seem like an art that is not applicable in modern times. This, however, is not the case. 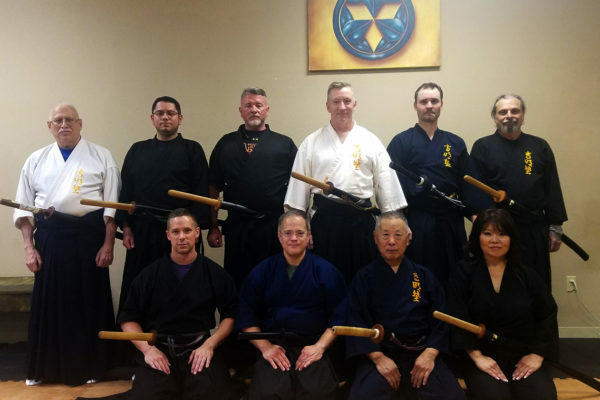 Muso Jikiden Eishin Ryu Iaijutsu, the traditional discipline of Japanese Swordsmanship taught in Lubbock at ArtFit, translates easily to modern weapons and unarmed self defense applications. ArtFit houses the senior of two Shibu (branch) dojo’s for the Komei Jyuku, the association of direct students of Skeiguchi Komei. 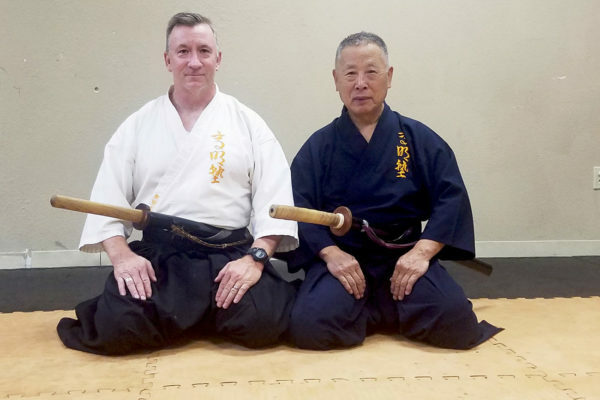 Walt Bushey sensei is a direct student of Sekiguchi Komei sensei (Iaijutsu) and Shimizu Nobuko sensei (Naginatajutsu) and is a member of the Nippon Kobudo Kyokan. 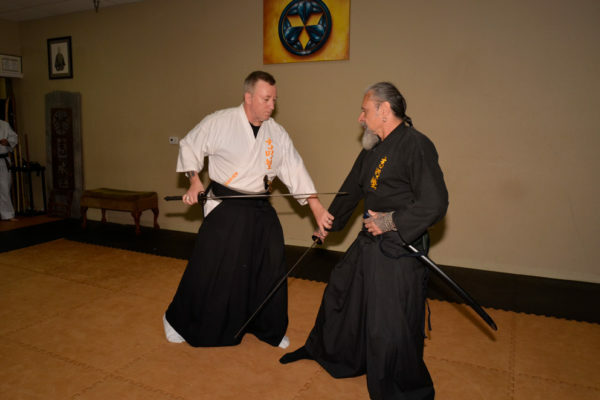 Bushey sensei is responsible for teaching Muso Jikiden Eishin Ryu Iaijutsu and Ryoen Ryu Naginatajutsu in the state of Texas and spreading the “Itto-shin” or “one-heart” of dento kobudo through the entire state of Texas, Lubbock, and surrounding areas.